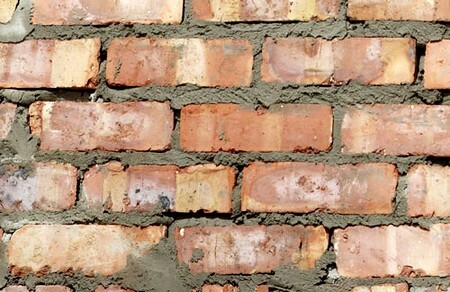 Although it can be a time-consuming and difficult job, building your own brick wall with the right materials is a reward in itself when it is able to stand the test of time and weather. Taking the time and trouble to get it right the first time around is crucial so that you don’t spend even more time carrying out frequent repairs. You will need good quality bricks and cement when you’re thinking of how to build a brick wall that will last a long time. Likewise, you will also need to lay a good cement footing for the wall to stand on so that it stands perfectly straight. The area in which the cement footing is to be poured must be cleared of any obstructions and compacted and leveled. The cement should be mixed according to instructions and allowed to dry once it has been poured. The final length of the wall must be marked out in chalk on the cement footing once the cement has dried. The entire length of the wall should be marked to ensure that the wall you build will be completely straight and devoid of waves. 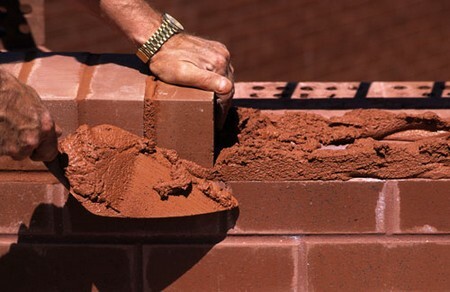 Before you begin work, dampen the bricks you intend to use so that they do not draw out moisture from the cement itself. Instead of starting from the middle, a brick wall should be constructed from each end of the cement footing. Cement needs to be layered under the bricks before they go on to the cement footing to guarantee secure attachment. Check that the first course, or row, of bricks is completely level before starting on the next one. There should be an even amount of cement between each brick in a course and between the courses themselves. A suitable thickness would be 0.5-1 inch of cement. Except for the first course, do not lay bricks straight through the middle of your intended wall until you have built up 3 to 4 courses first. After building up 3-4 courses of bricks at either end, stretch a line out from one end of the wall to the other, i.e. horizontally, as a guide. This is a key factor in knowing how to build a brick wall well. It ensures that the bricks you lay out in the middle of the wall follow a straight and level course. You can also ensure that the wall itself is straight by stretching out a vertical line. Continue building your wall in this manner until it reaches your desired height and leave the cement to dry completely.